Highlights from the Innovation and Automated Driving Systems for Universal Services Tour, Tokyo, Japan. 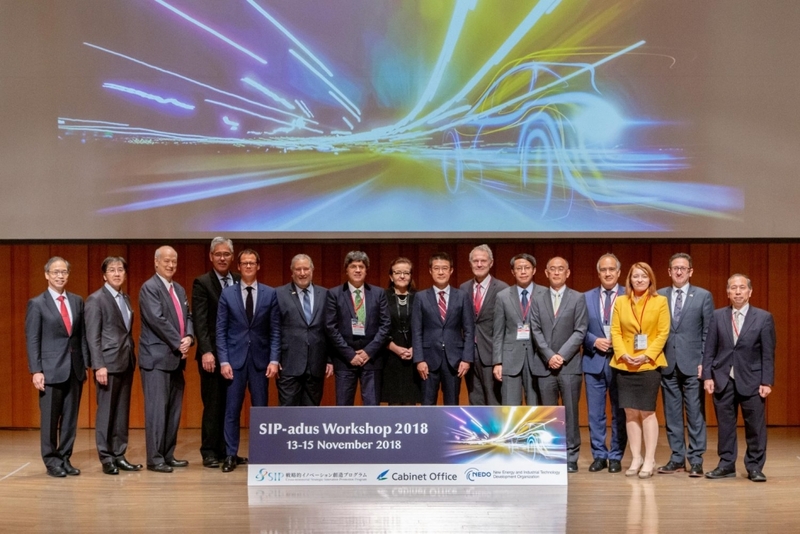 GoMentum Station ambassadors, Contra Costa Transportation Authority’s (CCTA) Randy Iwasaki and AMG’s Habib Shamskhou, spent the last week in Tokyo, Japan where they attended the international 2018 SIP-adus conference on Innovation and Automated Driving Systems for Universal Services. The duo visited the Shared Autonomous Vehicle (SAV) test facility in the town of Eiheiji in Fukuie, Japan, and met the Honorable Mayor Kawai. Randy Iwasaki shared that the Mayor is focused on “providing mobility services for the elderly as many elderly visitors travel by train to visit the temple that is located up the mountain from his town. He wants to use SAVs to provide this mobility”. Reflecting on the trip to Eiheiji, Habib Shamskhou said “it was great to be with Randy and visit this impressive and very practical SAV test facility, hit the local paper and the evening news, and meet the honorable Mayor”. Randy Iwasaki was invited to present at the exclusive Universal Traffic Management System (UTMS) of Japan to facilitate “Redefining Mobility” discussions. The audience included representatives from nine Original Equipment Manufacturers (OEMs) and over 30 tech companies. This was GoMentum’s second invitation to present at the 2018 FOTs Workshop at the SIP-adus Annual Meeting. The conference included 516 participants from 17 countries and regions including 145 top experts. It was a great honor to receive an award at the conference and to be recognized among this international network for pioneering efforts in the world of innovation and automated driving systems. The ambassadors expressed their deepest thanks to their gracious hosts.